First edition hardback, and your name in the back of the book. Signed first edition hardback, and your name in the back of the book. 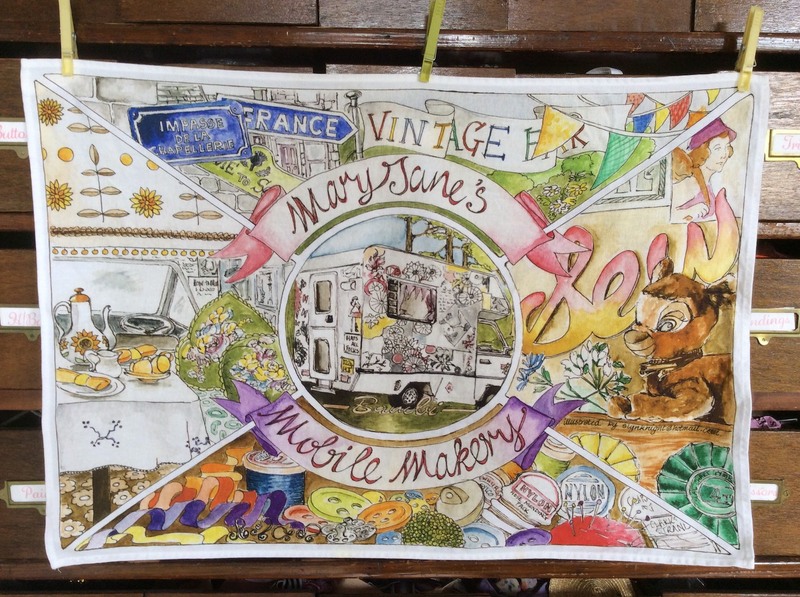 Exclusive 'postcard' tea towel, featuring The Mobile Makery. Each towel has a hanging loop and is printed on cotton. Plus the hardback and your name in the back of the book. Two first edition hardbacks (shipped together), and two names in the back of the book. 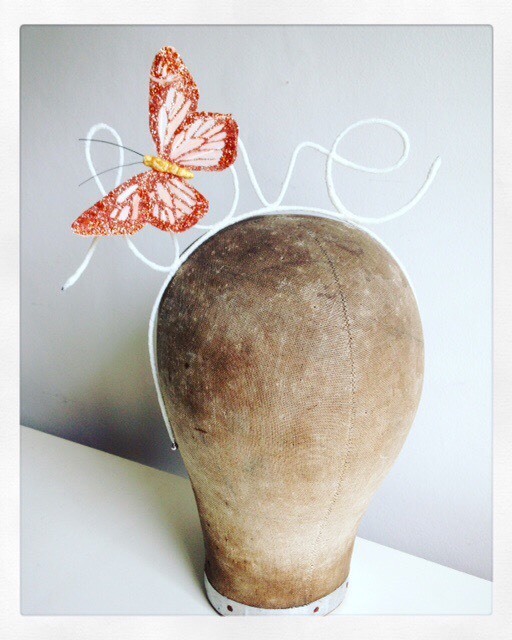 A handmade 'love' headband - one of the projects from the new book, and perfect for summer festivals and weddings. Plus everything at the Collectable level. A charm bracelet like the one Mary Jane is wearing in her video, using your own photos and travel mementos. Plus everything at the Collectable level. A large, decoupaged, travelling hat box, featuring images from vintage fashion magazines and some of your own photographs. (Measures 36 x 23cm) Includes an exclusive, personalised, postcard lavender bag and everything in the Collectable level. Learn how to make and trim a small blocked felt hat from scratch using couture millinery techniques. Materials provided. Plus everything in the Collectable level. A one-day workshop with Mary Jane. Design and make your own Sew on the Go top, Sew on the Go Dress or a cut and sew cloche hat using an electric sewing machine. Plus everything at the Collectable level. Materials provided. UK only. Mary Jane's travel and expenses not included. A morning’s thrifting in Deptford Market, with brunch included, followed by an afternoon sewing a sun top using thrifted materials. Plus two signed copies and two names in the back of the book. A three-hour crafting party in your own home, featuring a make from Sew on the Go (to be agreed in advance with Mary Jane). Perfect for hen parties or children’s birthdays. Includes materials, a photoshoot in Bambi, ten signed copies, and up to ten name in the back of the book. UK only. Mary Jane’s travel and expenses not included. Be listed in a special section at the top of the supporters list at the back of the book, plus five signed first edition hardbacks. Your name printed in the front of the book thanking you for your contribution, plus ten signed first edition hardbacks and your choice of any one of the crafting activities in the pledge levels above. Last year, Mary Jane Baxter did what many people dream of: she quit her job at the BBC, rented out her flat and headed for the hills. Her home for the next few months was an upcycled 1986 Bedford Bambi campervan with a top speed of 60mph. She raided skips for vintage wallpaper and scoured second-hand emporiums to source stylish vintage accessories, creating her own travelling craft studio, packed with everything necessary for crafting on the road. 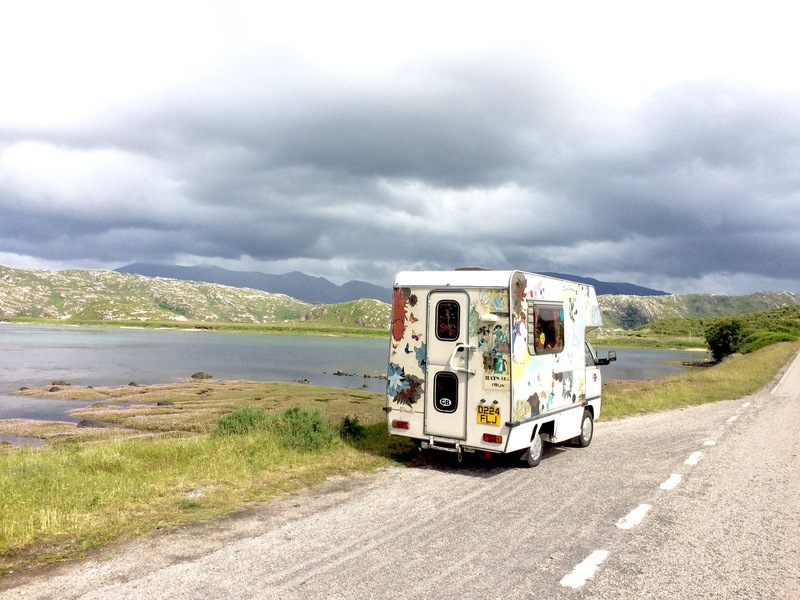 She then set off around Europe searching for inspiration, travelling from Belgium right down to the Cinque Terre in Italy then around France and up to Scotland. Armed with her trusty hand-cranked Singer, she spent a summer sewing on the go, foraging in flea markets, meeting artists and hosting pop-up events to help fund her trip. Like creatives the world over she decided to see where her travels would lead her and returned with a head full of new creative projects. Fortunately, there’s no need for you to give up your job, wave goodbye to your family and rent out your house in order to re-ignite your own creativity; Mary Jane has done all the hard work for you. Sew on the Go is her guide to carving out more creative space in your life. From decorating your own budget-conscious bolthole (no matter how small) to achievable projects including clothes and fashion accessories, beautiful gift ideas and child-friendly makes, this book is the ideal companion for those who dream of devoting more time to their craft. Sew on the Go is packed with craft projects, and is also a fascinating travel journal. It will open up a new creative way of looking at the world around you while showing how it’s possible to carve out your own artistic space on a budget. By using found and preloved materials you’ll be able to weave in your own memories, creating new heirlooms to treasure. Including delightful paper decorations crafted from vintage books, a simple-to-sew dress and top (inspired by thrifted French pillowcases), and a wonderfully kitsch cushion (made from a souvenir tea-towel), each project is clearly illustrated and accompanied by straightforward instructions enabling both beginners and experts to have a go. Whether you're a maker yourself or an armchair traveller, you’ll enjoy the process, add your own twists and create memorable makes that will be appreciated by everyone. Mary Jane Baxter spent her childhood making things and her teenage years running up quirky clothes and hats at the kitchen table. However, after studying English at St Andrews University she went on to have a successful career as a BBC news correspondent and producer travelling widely throughout Europe. Somehow she also managed to train as a milliner, sold her first hat collection to Harvey Nichols and lectured in millinery at The Kensington & Chelsea College in London. 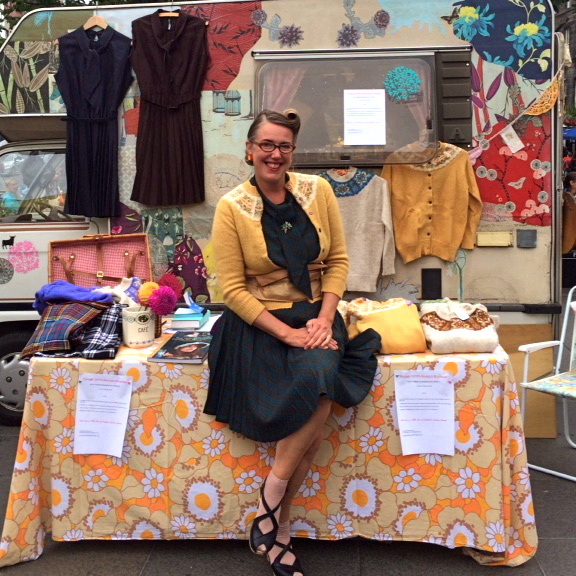 Three years ago she bought an unloved Bedford Bambi campervan and turned it into a mobile craft studio. She quit her job and set off on a continental crafting adventure putting on pop-ups to help fund the journey. Mary Jane has published two previous books, Chic on a Shoestring (2011) and The Modern Girl’s Guide to Hatmaking (2013), both with Kyle Books. She’s written a monthly style column for Homes & Antiques magazine and presented on fashion and craft strands for the BBC, famously bartering her sewing skills for board and lodging in a series of films for Newsnight. 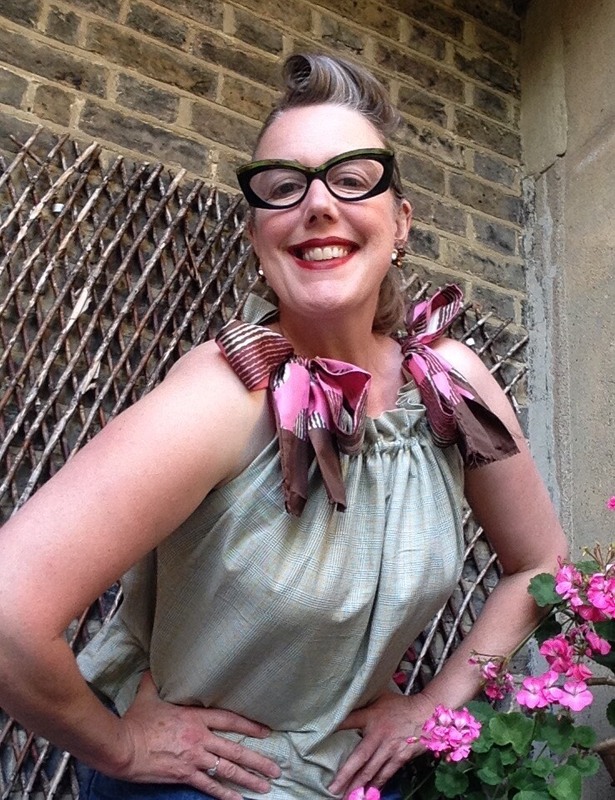 She currently lives in London where she’s stitching together a living and writing her new book Sew on the Go. You know the score. You’re sitting at your desk thinking for the millionth time about leaving the rat race behind. It’s just you, your rucksack and a rough plan on a piece of paper. There are no e-mails to answer, no deadlines to meet, no daily commute, no people vying for your attention. Just the freedom of the open road stretching before you. Then the phone rings and you get back to work with a sigh. Of course there are many reasons why most of us can’t make our dreams come true most of the time. There are debts to pay off, family commitments to keep us at home, jobs to hold down and health issues to cope with - all the difficult stuff of life that means we can get stuck in a rut. But what if for a few brief, glorious months nothing was actually preventing you from breaking free? Would you do it? Would you dare quit the day job and take the risk? It’s sometimes very easy to find reasons for avoiding challenges, and frightening to embrace the uncertainty of saying ‘I do’. This had certainly been my story. For many years I’d combined several different jobs. Whilst working as a BBC correspondent I’d also trained as a hat maker. I worked for two years with milliner-to-the-stars Stephen Jones, sold my first hat collection to Harvey Nichols in Knightsbridge and ran creative workshops for the likes of Liberty and Topshop. Somehow I’d even managed to squeeze in a series about ‘make-do and mend’ for BBC Newsnight, two weeks in Paris working for Marc Jacobs and a part-time teaching job in London. After a while I began to feel I was spreading myself too thin. I was juggling too many different balls and felt in danger of dropping them all. Around this time my Godfather died and generously left me some money. I immediately decided to spend part of my inheritance on an old campervan. I fantasized about doing it up and filling it with all the materials I needed to make beautiful things as I journeyed. I’d create the perfect travelling craft studio and then set off around Europe exploring French fleamarkets, swimming in rivers and meeting a clutch of colourful creative characters. My van of choice wasn’t a trendy VW (too expensive) or a quirky Citroen H van (too heavy on the steering) but something of a plain Jane - a boxy Bedford Bambi in need of some TLC. Once purchased, I drove it back to South East London and parked it on the street outside my little flat. It didn’t matter to me that Bambi’s top speed was 60 mph, that the interior electrics didn’t work or that the fridge was broken. Bambi would be my bolthole, my crafty retreat from the world - my very own Mobile Makery. Whenever I had the chance I’d spend a few hours working on Bambi. It felt like I was building an escape-pod outside my front door. First I papered her interior with the pages of a 1950’s dressmaking book and then started reupholstering the seats with a mixture of funky fabrics and souvenir tea towels. I changed the curtains and added over-the-top trims spending many happy hours hunting down enamel mugs and crochet blankets to cosy up the space. The dream of having a Mobile Makery kept me going through the dark winter nights and the long shifts working in the BBC newsroom. Some very good news in time for Christmas! I’m thrilled to announce that my brother Chris Baxter has very kindly offered to illustrate my new book, Sew on the Go: a maker’s journey. It will be scattered throughout with his wonderful sketches of Bambi, and the plan is for each chapter to start with a small black and white illustration too. Thanks so much Chris. It’s almost a year since The Mobile Makery (aka Bambi) and I hit the road to take part in Stroud’s SITE Festival Open Studios which this year fall on 5th/6th and 12th/13th May. I hope you all managed a break of some sort over the festive season and that you’re struggling through these rather bleak January days with the help of a good glass of claret. There’s no dry January in this household! Short on time to craft Christmas? These people are helping to fund Sew on the Go: a maker's journey.